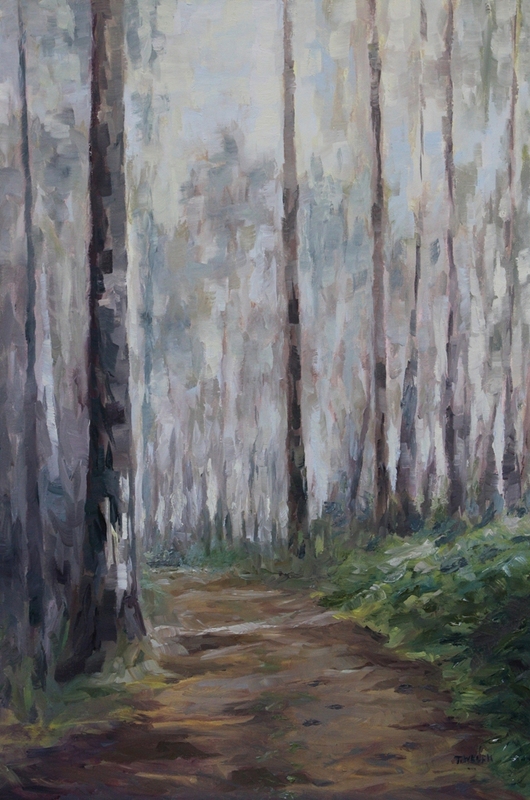 The heavy fog on the road this day – this painting is an interpretation of common-place stillness that is clearly visible in my sensory memory. It is a time when deep quiet comes to dripping woods along the sea. Though this scene may possibly be mapped for hundreds and even thousands of years into the collective history of humankind, still I paint it. I paint this common-place Canadian landscape because it pleases me. ROAD TO EVERYDAY 36 x 24 inch oil on canvas. Detailed view and purchase information available HERE.